James joined Chambers in October 2017 after completing Third Six Pupillage. Between January 2016 and April 2017 he worked on the Insolvency Rules 2016: the most significant change to insolvency procedure in 30 years. Advised on all forms of corporate and personal insolvency in both contentious and non-contentious contexts. Personally briefed ministers and attended debates in Parliament, drafting answers to questions posed by the Opposition frontbench. Advised on the interplay between employment and insolvency law, which is of particular importance in large, high-profile insolvencies. Regularly advised on public and administrative law. Common areas of advice are compatibility with EU law and the ECHR, providing advice on whether proposed actions are intra vires and ensuring that any relevant duty, such as consultation, public sector equality duty or any legitimate expectation, has been satisfactorily fulfilled. During his first six, he worked on judicial reviews in the High Court and the Court of Appeal. At the Department for, Business, Energy and Industrial Strategy he advised on judicial reviews in train against the Department. Acted as a prosecutor for at the Department for Business, Innovation and Skills between April 2014 and December 2015. In this capacity he advised on a range of offences under the Company, Insolvency and Fraud Acts. Appeared regularly in the Magistrates’ and Crown Courts and frequently advised on POCA investigations and proceedings. In addition, he advised the Insolvency Service on a number of investigations into live companies. Advised on disciplinary procedures against persons authorized by the SRA, ICAEW, IPA, ACCA and FCA. 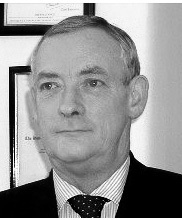 He was lead lawyer on a project to revoke the Solicitor’s Regulatory Authority as a Recognised Professional Body under the Insolvency Act 1986, which required a thorough understanding of the SRA’s regulatory functions and processes, as well as lead lawyer on two significant ongoing projects relating to insolvency practitioner regulation whilst at BEIS. Before coming to the Bar, he worked briefly at an international investment bank and advised on the bank’s relationship with the FCA and prepared materials to ensure compliance with the Bribery Act 2010 and FCA Handbook. Took a lead role in developing the enforcement strategy for a major new anti-corruption initiative: the “people of significant control” regime, which came into force for all companies in 2016. This involved drafting guidance and agreeing enforcement strategy between a number of enforcement agencies including BEIS, the CPS, the SFO and the NCA. He was involved in developing the measures announced by the Prime Minister in May 2016, which would prevent foreign companies from purchasing property in the UK unless they disclosed the identity of their beneficial owners. As a first six pupil in Essex Court Chambers, he worked with counsel on a number of high-value cases including missing-trader, intra-community frauds, money laundering and embezzlement. More recently, he has advised on civil aspects of frauds and regulatory offences committed by insolvency practitioners in the course of their practice and advised on anti-fraud policy development which included a detailed assessment of civil remedies available to victims of fraud. • 2011-present Legal advisor at the South Westminster Legal Advice Centre, providing pro bono legal advice to a diverse client base on crime, personal insolvency, housing and litigation. • 2014-present President of the Inner Temple Junior Bar Association. In this capacity he organise around ten training and networking events per year and act as a representative for barristers under seven years’ call. He sits on the Inn’s Bar Liaison Committee and Education and Training Committee. • 2013-2014 Was vice-president of the Inner Temple Drama Society, directing two productions and acting in a number of others.